Zia Industrial Factory Zia Industrial Factory was founded in 1361 in order to become self-sufficient in the country in manufacturing machinery for industrial laundry machines. After 18 months of research and study on European and American samples, the first washing machine was able to tirelessly try its managers and workers. Designed and manufactured with a capacity of 20 kilograms. Due to the need for health centers in the country, the managers of the production complex of higher capacity machines were put on the agenda, and now Zia’s industrial plant produces cars up to 90 kg. 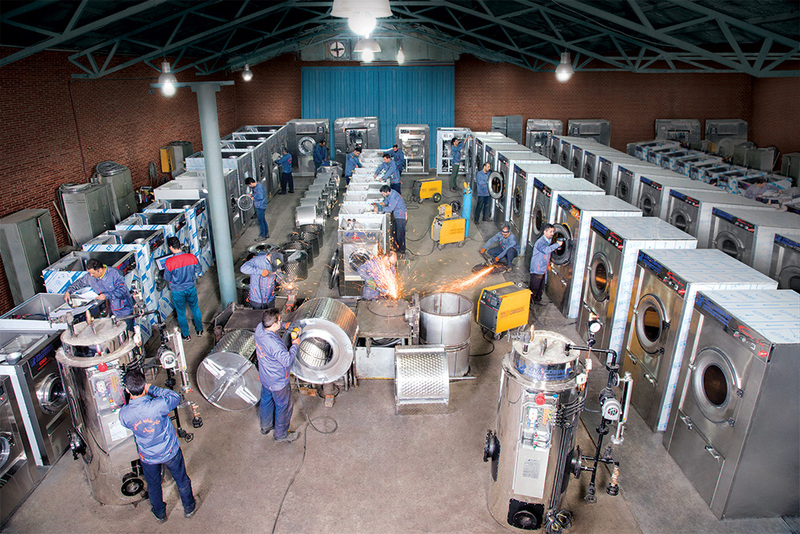 Zia Industrial Factory in 1992, has been designing and manufacturing an infectious washing machine that is in great demand in the hospitals of the country. Nowadays, this product is being used in many hospitals of the country for dear friends. Zia Industrial Factory Zia 94 After three decades of successful and successful presence in the industrial washing industry, he stepped in the way of designing and producing machines without foundation, which now has washing machines and infectious washing machines without foundation of Zia Industrial Factory with similar European samples And America is competitive. Zia Industrial Factory Zia Industrial Factory has been exporting to the Gulf countries since the year 73 and has been able to export its products to the countries of Russia, Syria, Iraq, Senegal and Cameroon.